Artemis - Boston's Premiere Psytrance and Suomisaundi DJ and more! Artemis walks though multiple psychedelic planes of existence in Boston, MA: DJ, av-tech, artist, performer, welder. Artemis is a popular Boston, MA based psychedelic electronic music DJ, independent audio-visual technician, welder, juice-slinger, performance artist coordinator, ocassional fire-performer, and has worked on stage fabrication and deco. Educated in musical theory, classical violin, and voice Artemis embodies an unrivaled ability to mix a wide range of styles to create mood and atmosphere. For over a decade Boston's Artemis has spun multiple genres of underground psychedelic electronic music in the United States, and Canada: Suomisaundi, psytrance, psy breaks, dark psytrance, drum and bass, techno, chill out, ambient, forest psy, tech funk and more! Artemis of the Wildland is often found stalking through digital forests, hunting down captivating tunes with arrow-like precision. As a fawn, Artemis was trained in classical violin and voice, giving her a diverse palate for more modern musical styles. A pure individual, Artemis chooses to affiliate only with challenging projects that value her independence, multiple skills, and quick adaptability. Her hunting grounds in New England include the Boston, Worcester, Hartford, Providence areas; her travels have taken her coast-to-coast, and internationally. Artemis joined New York's Radial Engine Tribe after attending many legendary house parties and her very first back field party, all organized by Rob Scholz, the madman responsible for the Radial Engine Tribe. She has proven herself a valued member by bringing her on-site logistical knowledge, honed via years with multiple projects, her stage-management experience, assisting with deco, and by herding cats at the door. 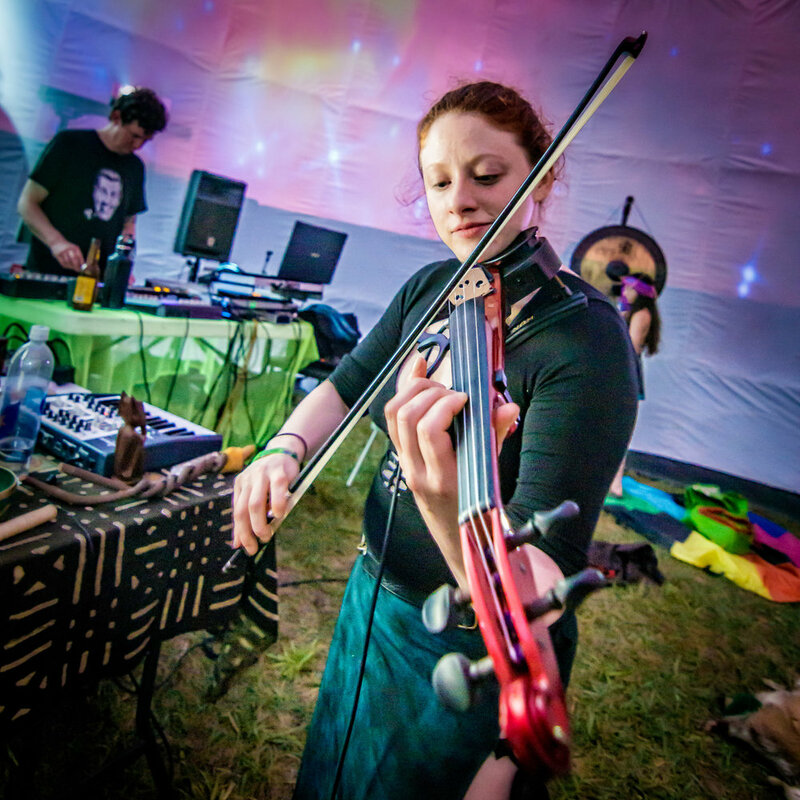 Members of Connecticut based Awake Productions met Artemis at a psytrance party in Brooklyn, NY and were immediately impressed with her mixing skill and style and asked her to join their team, on the spot. One of her long-standing affiliations, she has gifted Awake a metal art piece she had created, assists with deco, and even modeled Felicia's special effects air-brush wizardry. 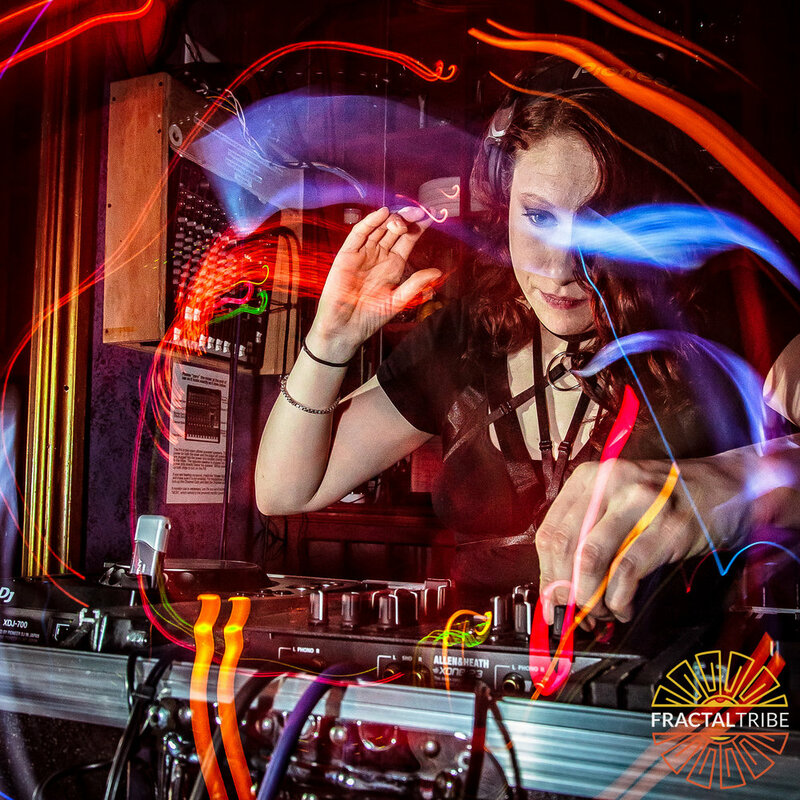 Originally brought into Fractaltribe to run a juice-booth, Artemis' role has expanded over the years with her willingness to learn any new skill-set necessary. 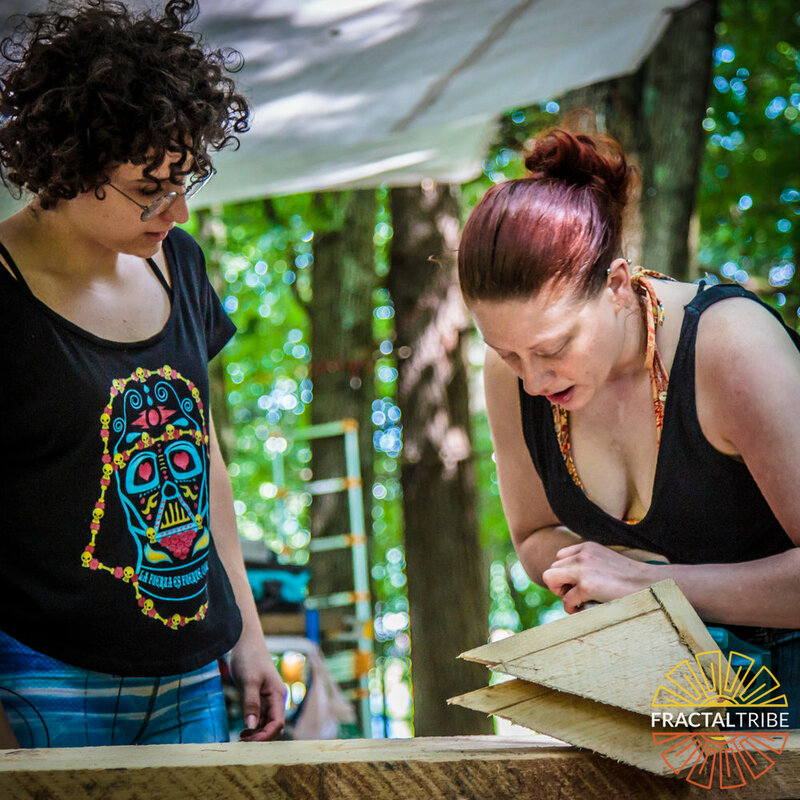 For 2017, she stepped up to assist a welding project for The Reliquarium and Fractaltribe, and temporarily took on the task of organizing performance artists, for Fractalfest, Fractaltribe's annual summer psytrance festival experience in Stephentown, NY. Artemis inspecting joints for a wire-frame project between Fractaltribe and the Reliquarium.